Red Crown received it’s original name after Standard Oil’s name for their Red Crown Regular Lead Free gasoline. Red Crown’s sister credit union is White Crown Credit Union in Denver, Colorado. Membership at Red Crown is open to those who live, work, worship, volunteer or attend school in the Tulsa, Creek, Mayes, Okmulgee, Osage, Pawnee, Rogers and Wagoner counties of Oklahoma. This includes immediate family and household members of existing Red Crown members as well. Now consumers all around the Tulsa County metro area can take advantage of being a Red Crown member. 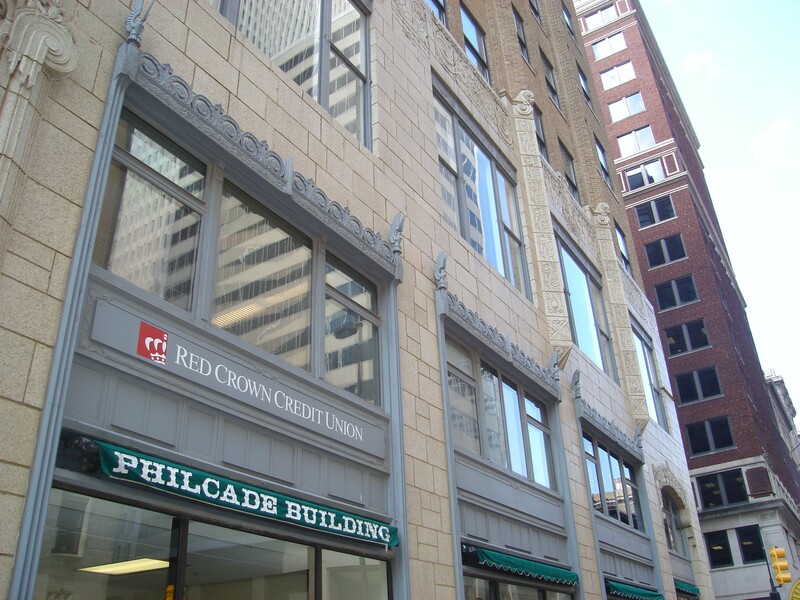 Red Crown’s original home, The Philcade Building, downtown Tulsa, OK.